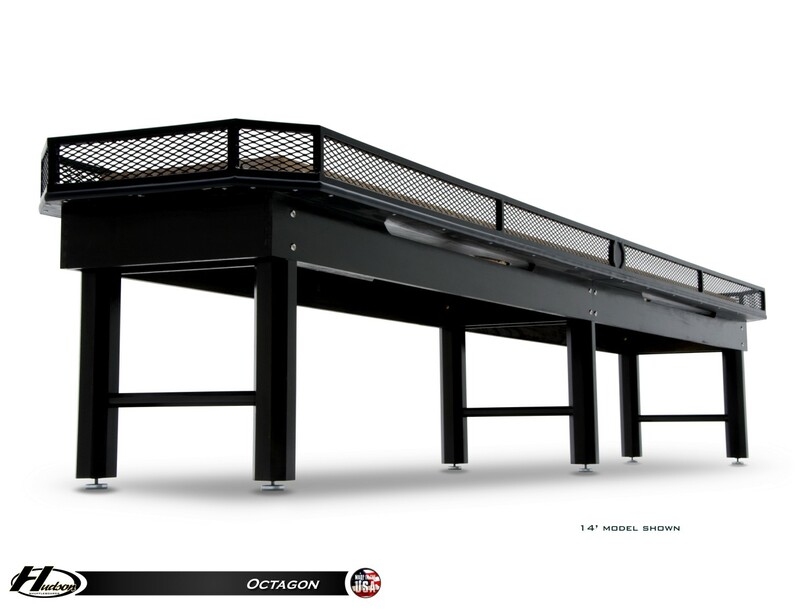 With a black powder-coated aluminum cradle, the 9' Octagon shuffleboard table gives the game of shuffleboard a brand new edge. 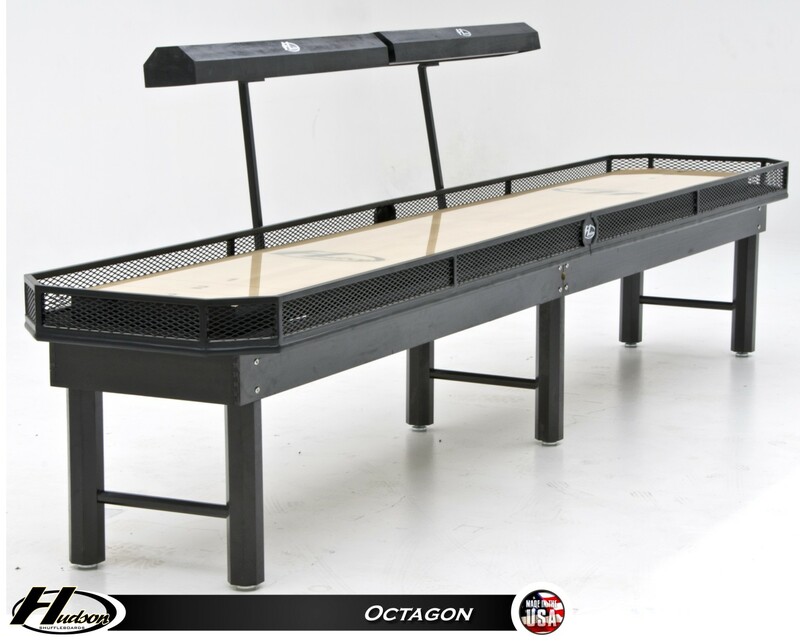 Inspired by the gritty, industrial style of the cage-octagon ring used in Ultimate Fighting Championship matches, the 9' Octagon shuffleboard table is a true standout. 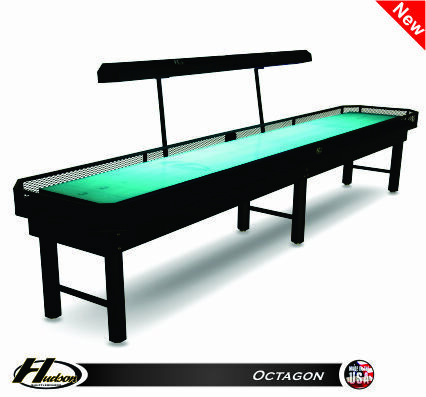 Like all Hudson shuffleboard tables, the Octagon is custom made-to-order in the USA and features some of the highest quality materials available. The Octagon features a 3" thick playing surface constructed of select kiln-dried Hard-Rock Maple topped with a Polymer Finish (lifetime warranty). Add powerful modern edge to your entertainment space and order the Octagon today! 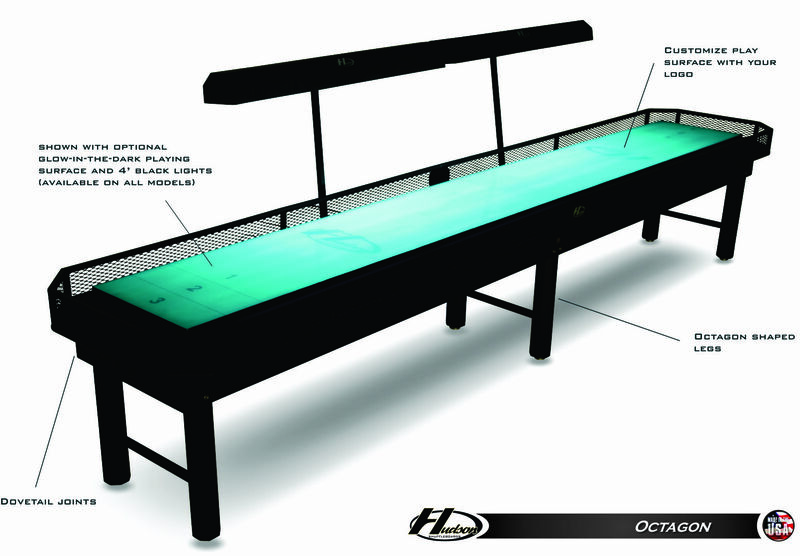 Note: If you order the Glow-in-the-Dark Playfield, we highly recommend adding the Black Lights to this table. 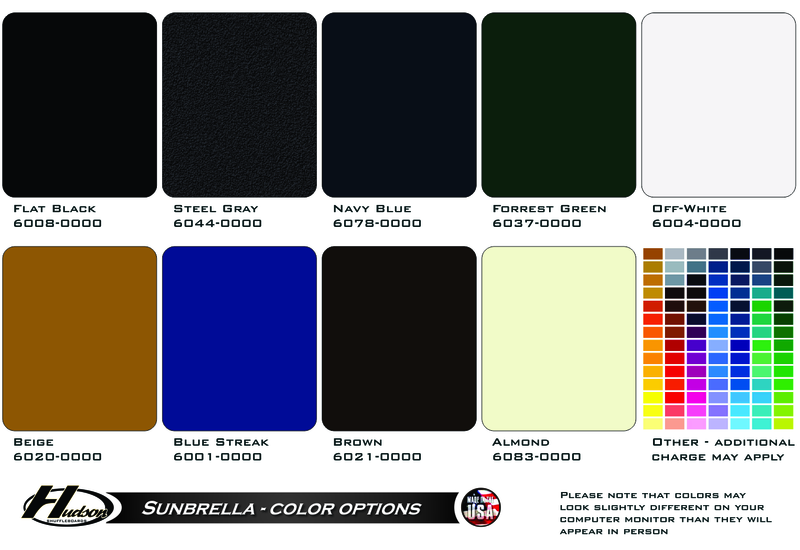 If not, please use some other black light source to get the most out of your purchase!